This classic Art Deco dinner ring, hand fabricated in platinum - circa 1920s-30s, sparkles on all sides with an array of small bright icy-white and shining European-cut diamonds, together weighing .85 carat, each set in individual delicately milgrained settings. Measuring 13/16 inch long and lovely, this consummate and pristine Jazz Age jewel is finished with decorative piercing and hand engraved detailing. Currently ring size 7 1/2. The maker's mark indicates *Byard F. Brogan of Philadelphia (still around!). *From their website: Our firm was founded in 1908 by Byard F. Brogan and Walter S. Rodenbough, on South 7th Street in Philadelphia. The two men originally worked as engravers to the bustling Philadelphia jewelry trade, at a time when the demand for personalization was great and almost every piece of jewelry was hand engraved. After the First World War, Mr. Brogan bought out his partner and moved more aggressively into manufacturing. He developed a method of crafting die-struck two-sided mountings that retained the high quality of die striking, but at a more reasonable cost. This advantage enabled the company to expand rapidly into other markets through the 1920s. Several U.S. Design Patents were issued for these mountings. With the increased production, the firm moved to 805 Sansom Street, and steadily grew from a space of one floor to occupy all four floors of the building. Also during this time, Mr. Brogan and his chief machinist designed machinery and tooling to craft seamless diamond guard rings. The process allowed an individual seat or azure to be punched for each stone in the mounting and required a separate die for each stone size as well as each finger size within each stone size. In 1932 a U.S. Design Patent was issued for the ring, as well as a separate patent for the process of manufacturing the ring. The tooling utilized a complicated mathematical formula for each stone combination, creating an infinite variety of options. We still use this completely custom, time-tested process today. 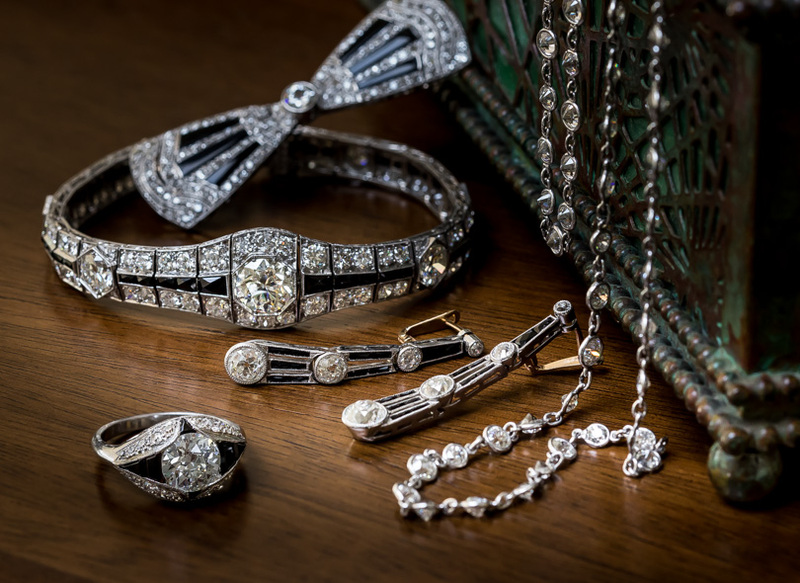 With the onset of the Great Depression, the firm faced a steep drop-off in demand for jewelry and bankruptcies were widespread throughout the jewelry industry. To increase business in the 1930s, the company expanded into the importation of cultured pearls from Japan. Another patent was granted for an oval interchangeable clasp, designed so that multiple strands could be worn in different ways. During the Second World War, the firm adapted operations yet again, manufacturing small radar parts that required platinum contacts. As well, many of the company's jewelers and polishers manufactured compasses for ships at the Philadelphia Navy Yard. After the war, demand for jewelry expanded quickly with the rest of the economy and once again the company expanded manufacturing. In the fall of 1949, cultured pearl imports were allowed in the United States for the first time in almost ten years from occupied Japan. Originally, these pearls were well coated, but quite irregular in shape. However, during the 1950s, pearl production and quality improved greatly, and as the volume of pearl sales grew, the company increasingly had leftover pearls from stringing necklaces of different lengths. Faced with growing inventory, the firm developed a program wherein one or more loose pearls could be purchased on a small gold neck chain, and over time more pearls could be added until the necklace was completed. This was the beginning of our popular Princesse Plus program. In 1956 the firm moved from the cramped four-story building on Sansom Street to a larger, more modern space occupying two floors at 801 Walnut Street. Finally, in 1966 the company moved out of the city to Glenside in suburban Philadelphia. 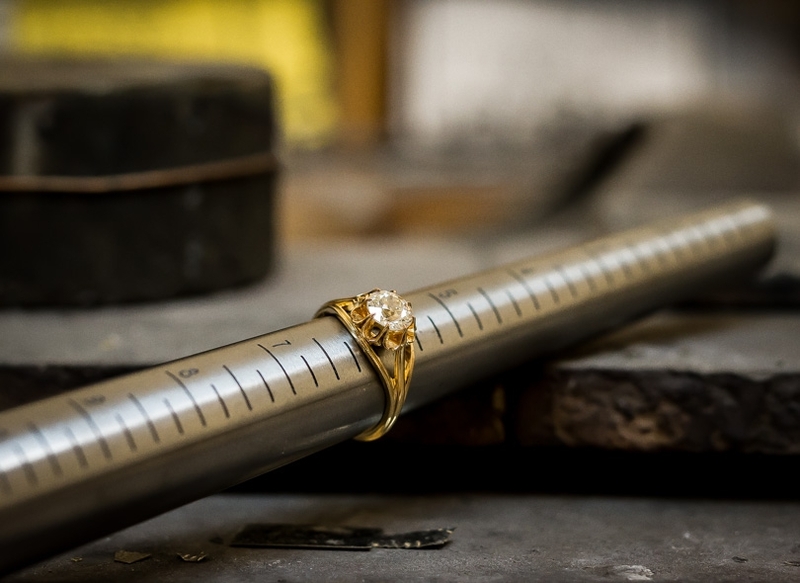 To this day, Byard F. Brogan, Inc. strives to bring customers the highest quality jewelry and gemstones, from die-struck components to VS1 quality diamonds. We have chosen to keep our standards high and sell a quality product. 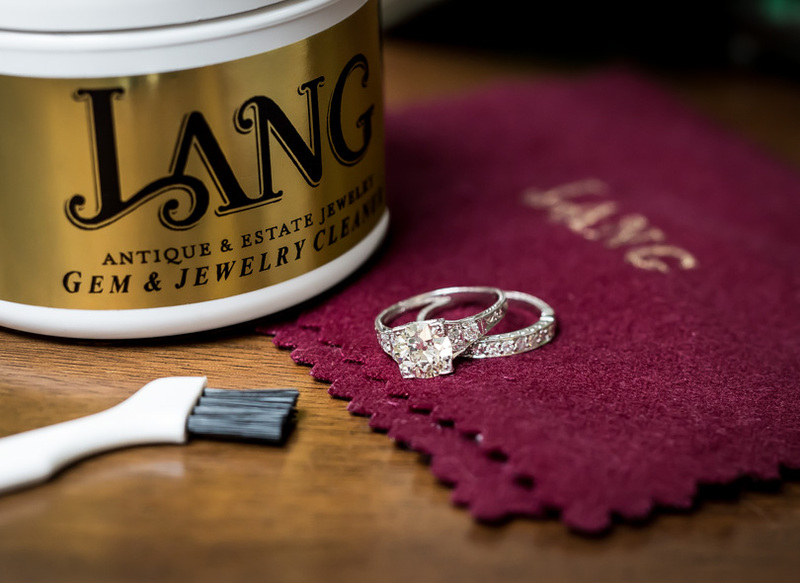 Our customized service and attention to detail deliver a much better value than less expensive jewelry. It is our sincere desire to serve the customer who appreciates the difference.